NEMESIS will participate at exhibition “INTERPACK” edition 2011 in Düsseldorf, from 12 to 18 May. It will be exposed, in addition to the complete weighing and labeling line HSC350 , the new 2011 series of machine. 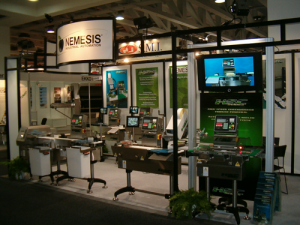 NEMESIS will be in stand 13-E31 Hall 13.